Near the beginning of the winter retreat we became aware that a neighbouring property along the NW boundary of Tisarana came up for sale: 548 Pike Lake Rt. 17A (see the image below). This is 59 acres which have long been held by a group of hunters. The piece is undeveloped in that there is currently no source of water or septic. There is a gravel access road and a small cabin and storage shed. 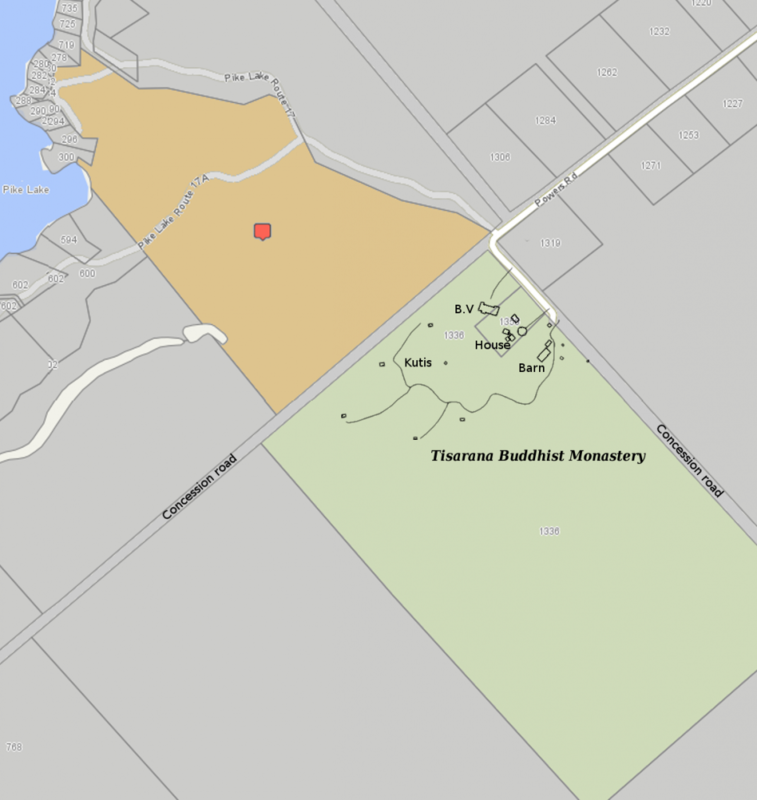 The acreage is mixed hardwood forest, scrub and marshland, very similar to the Tisarana property. It also has a small stretch of lake access. Expand the number of monk’s kutis by one or more. The property listed at $295,000 (CDN) and we expect to close a deal to complete the purchase and transfer of ownership by mid-June of this year. Our aim is to avoid borrowing money if possible. In our tradition many people consider that contributing to the physical space and lodgings of a monastery is particularly auspicious. Already several supporters in Thailand, Singapore and England have come forward with donations to support this purchase, at the mere rumour of this plan.